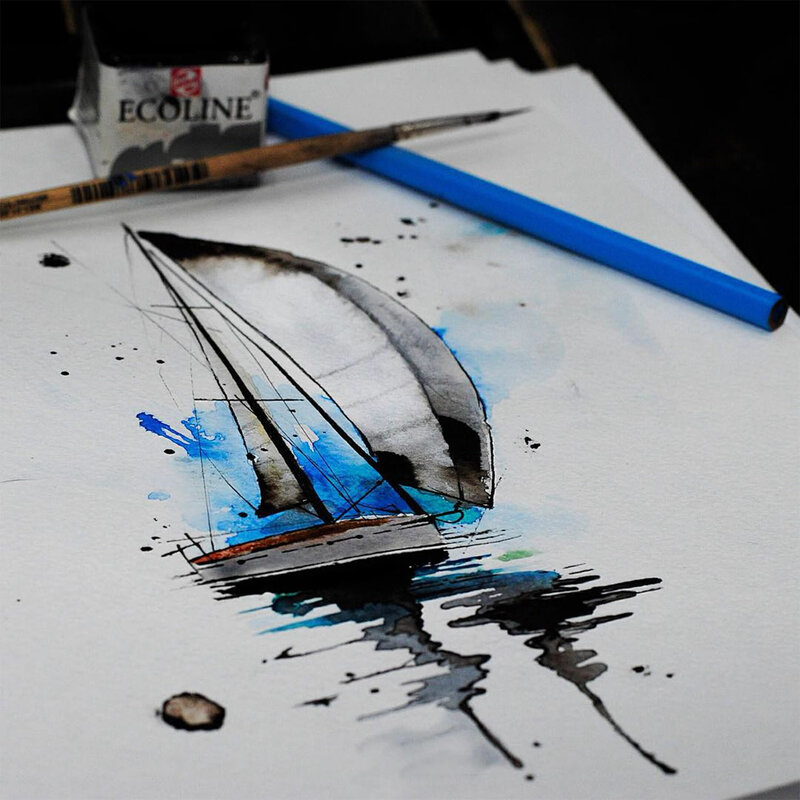 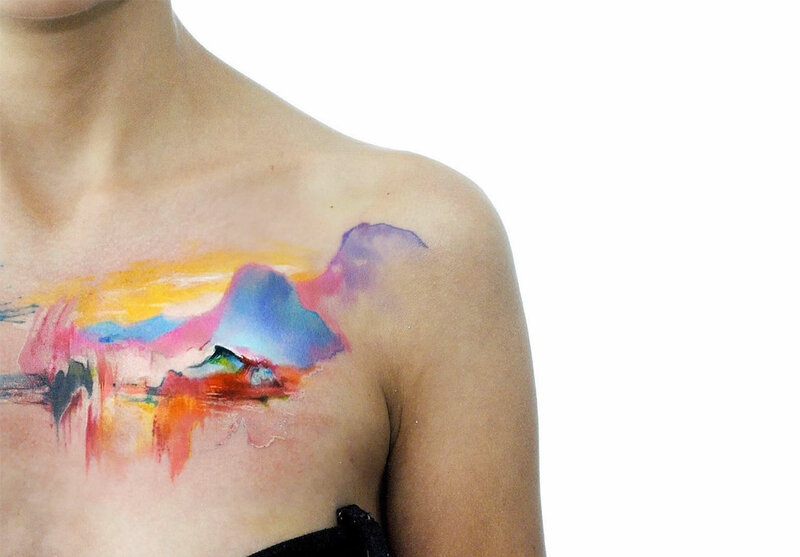 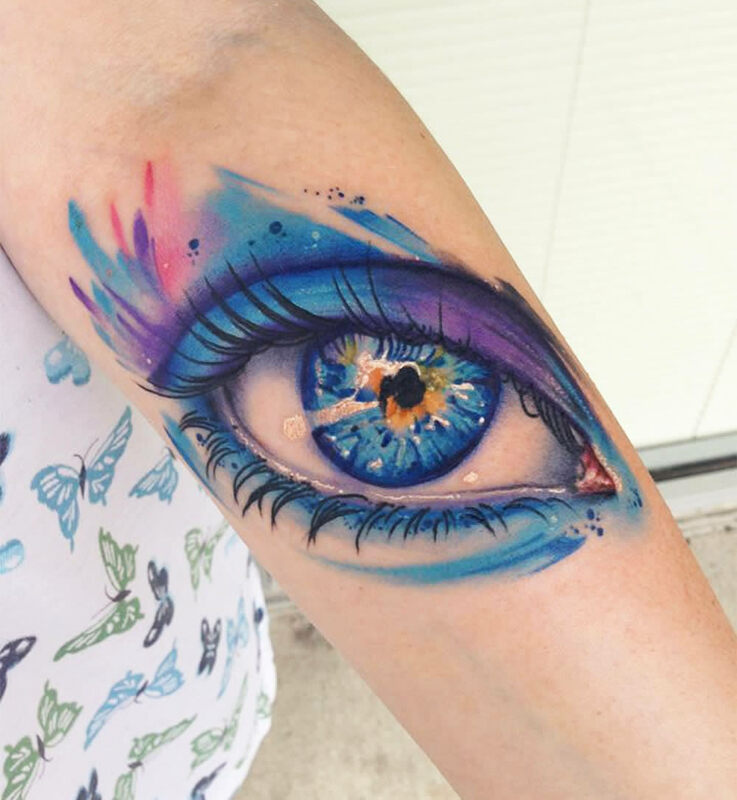 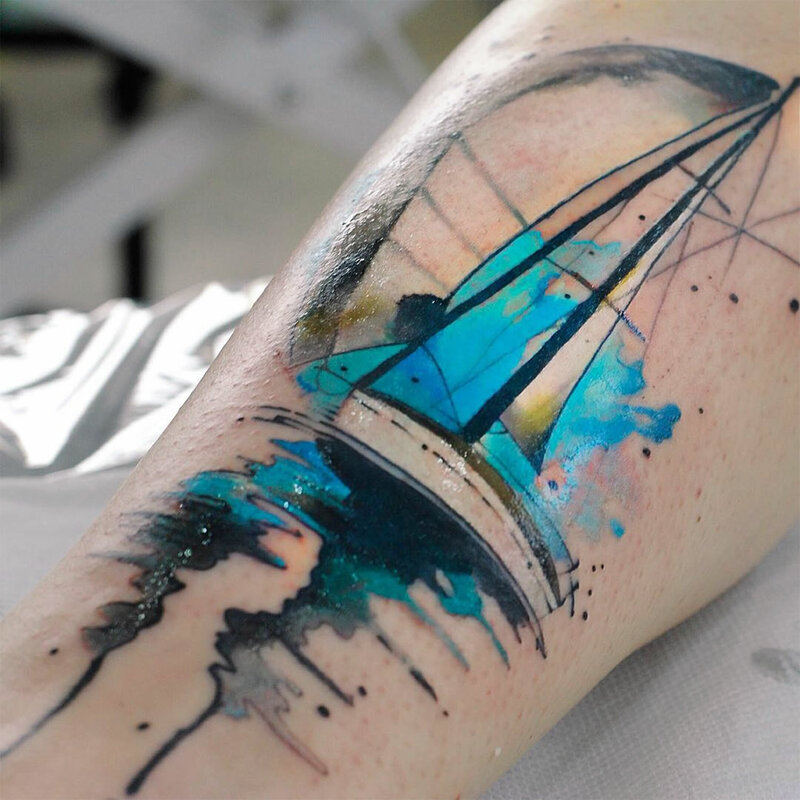 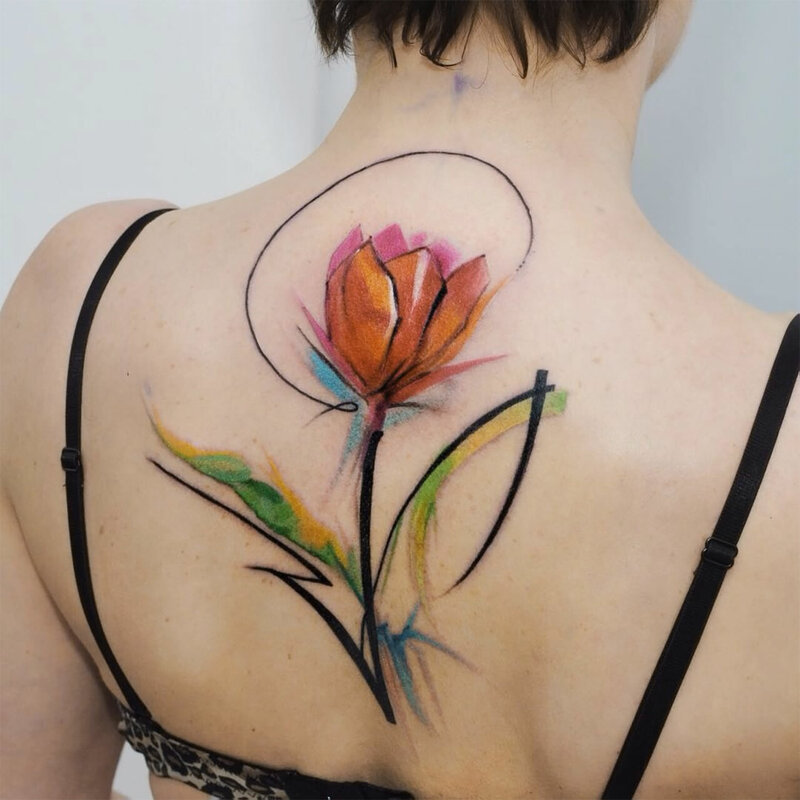 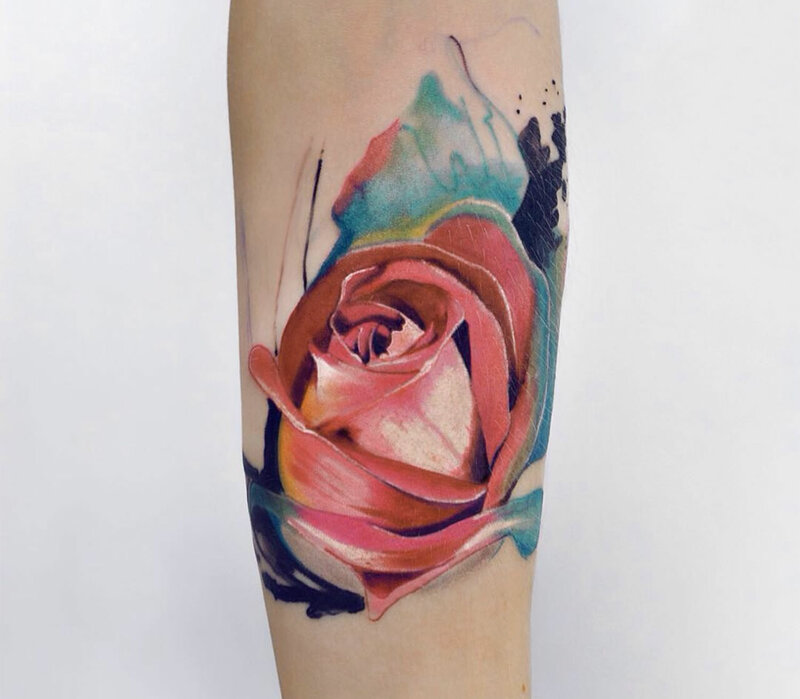 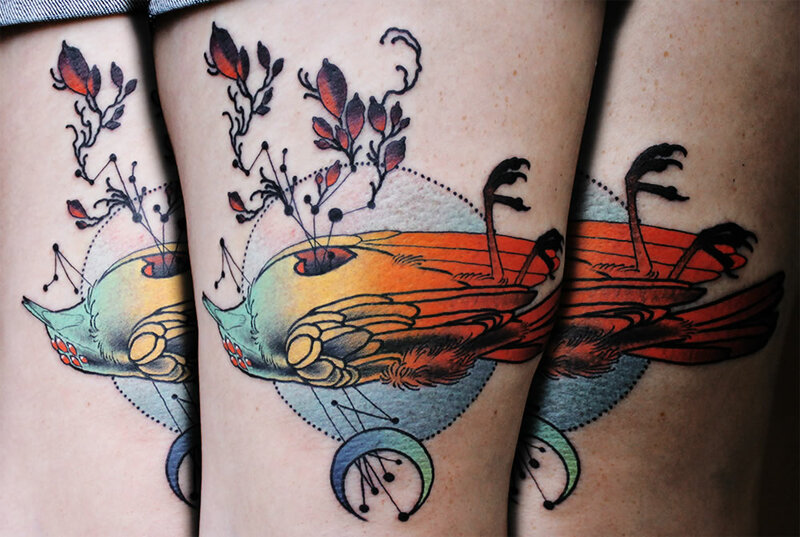 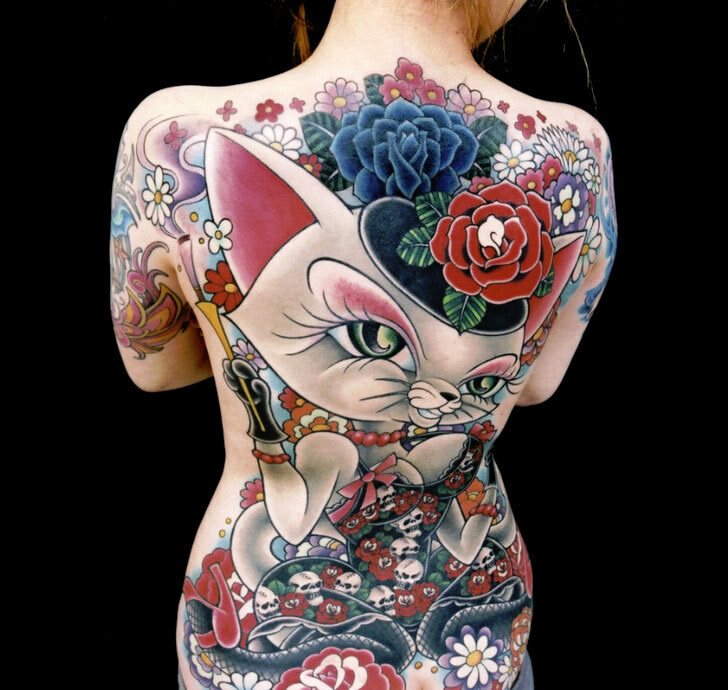 Aleksandra Katsan creates body art that recalls the carefree fluidity of a watercolor painting. 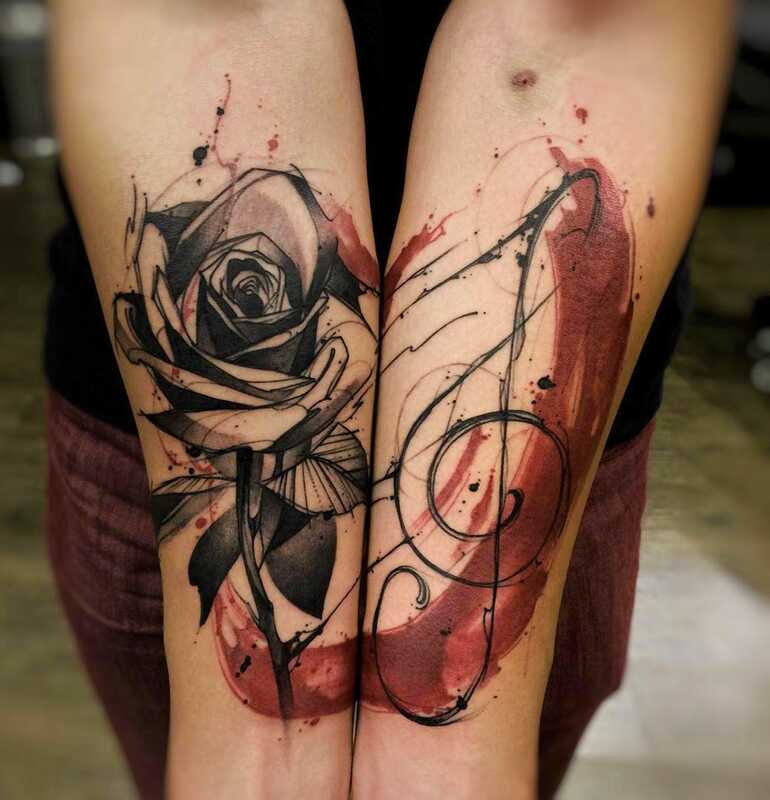 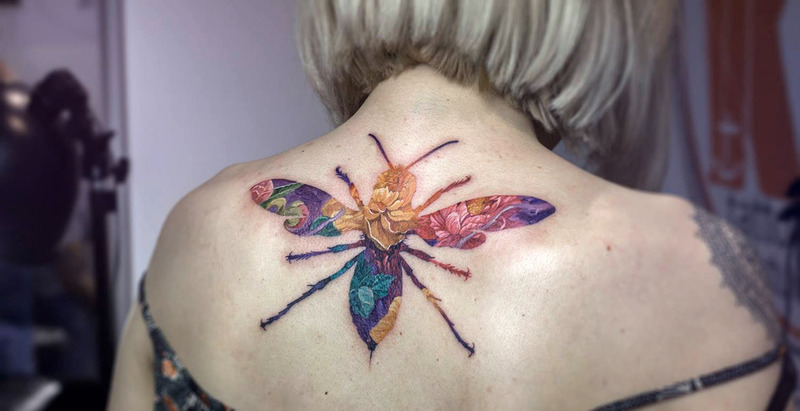 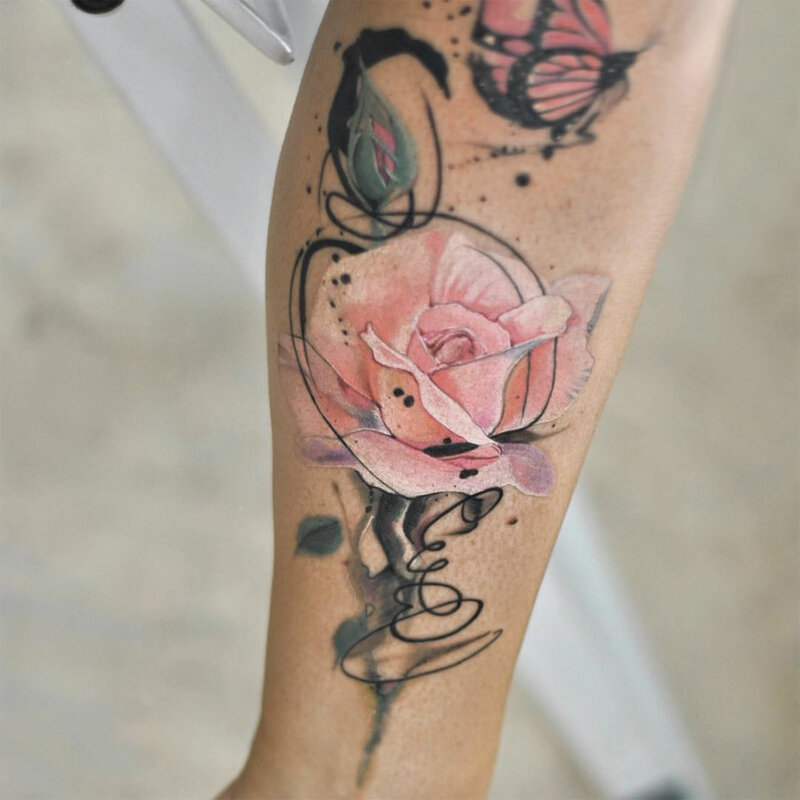 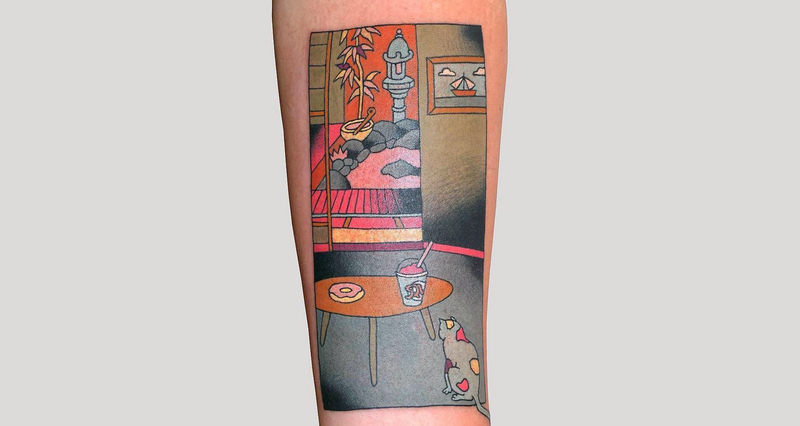 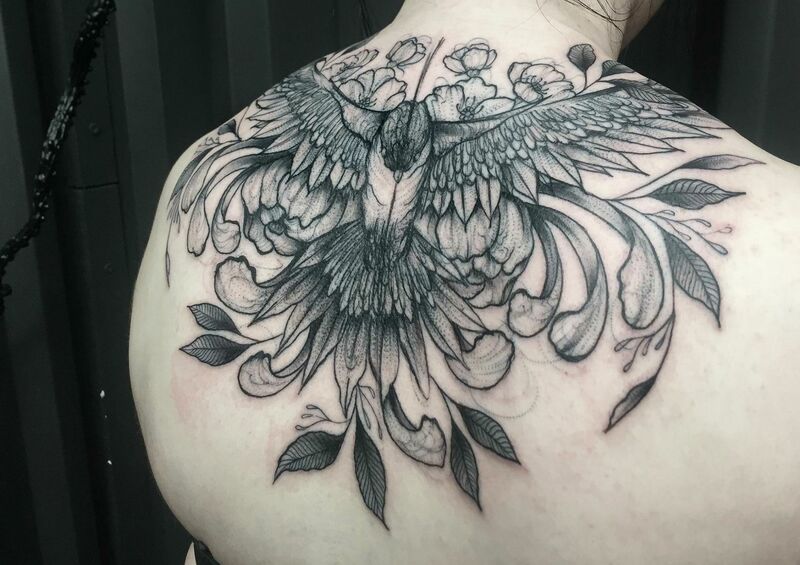 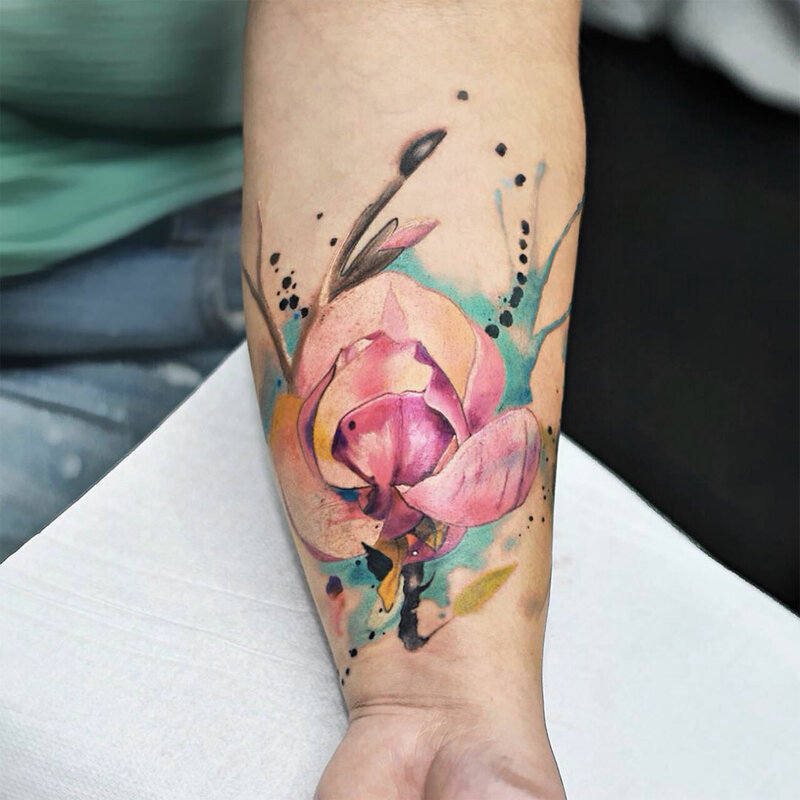 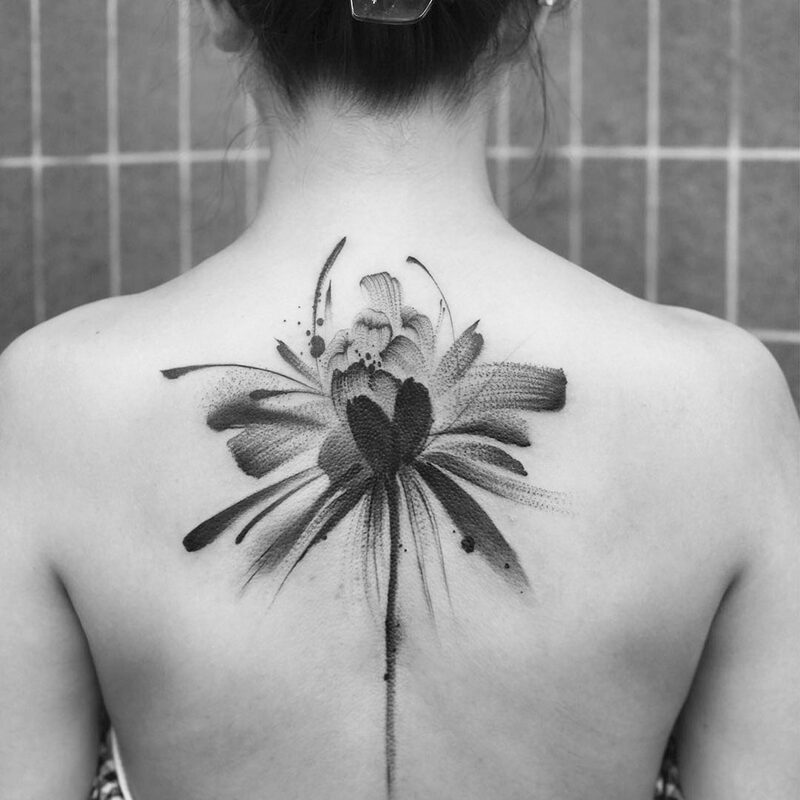 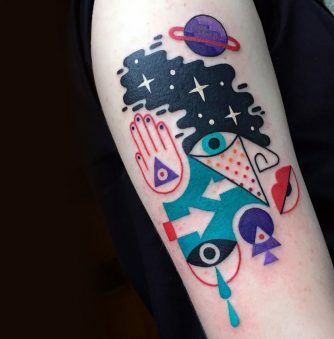 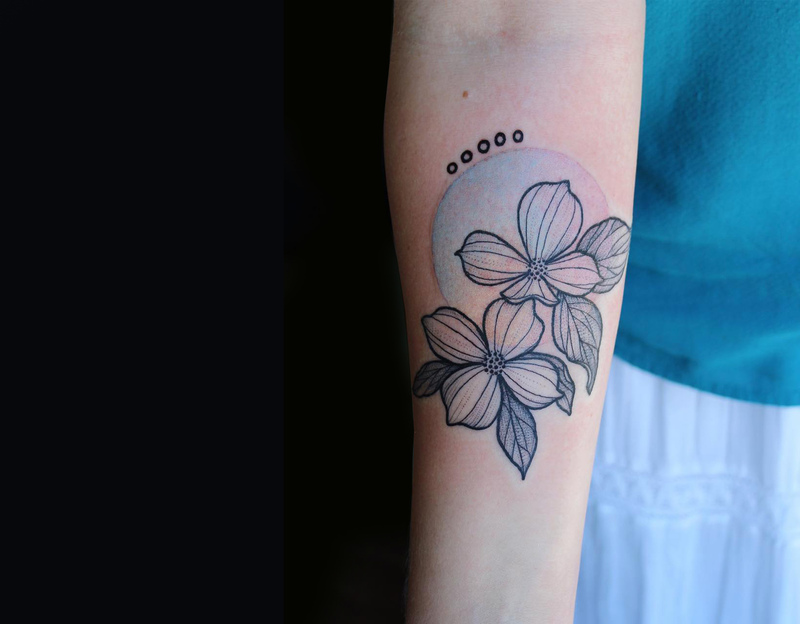 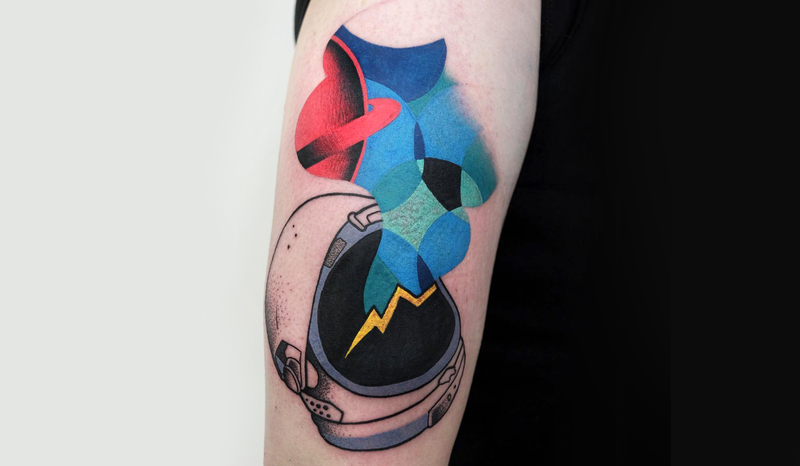 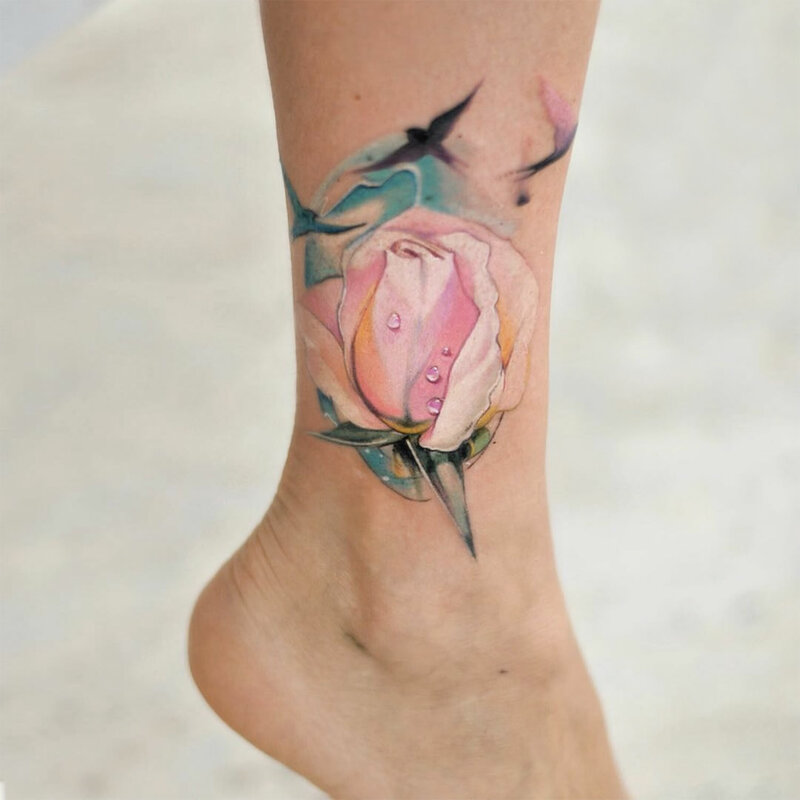 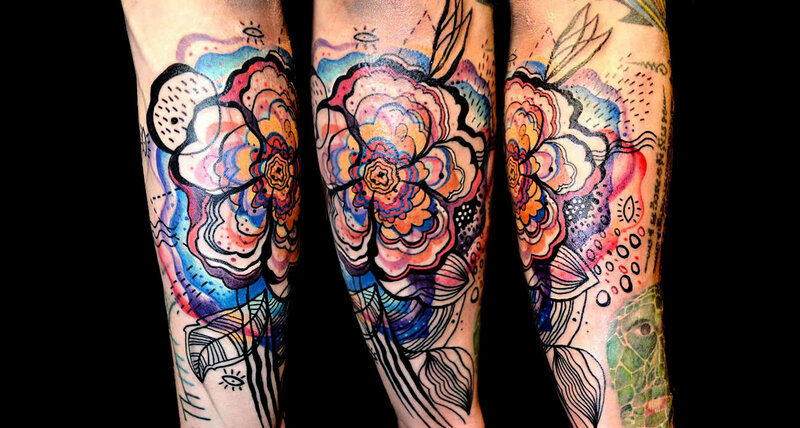 Focusing on florals and nature, the Ukrainian tattooist convincingly mimics the flick of a brush or splatter of pigment on the skin. 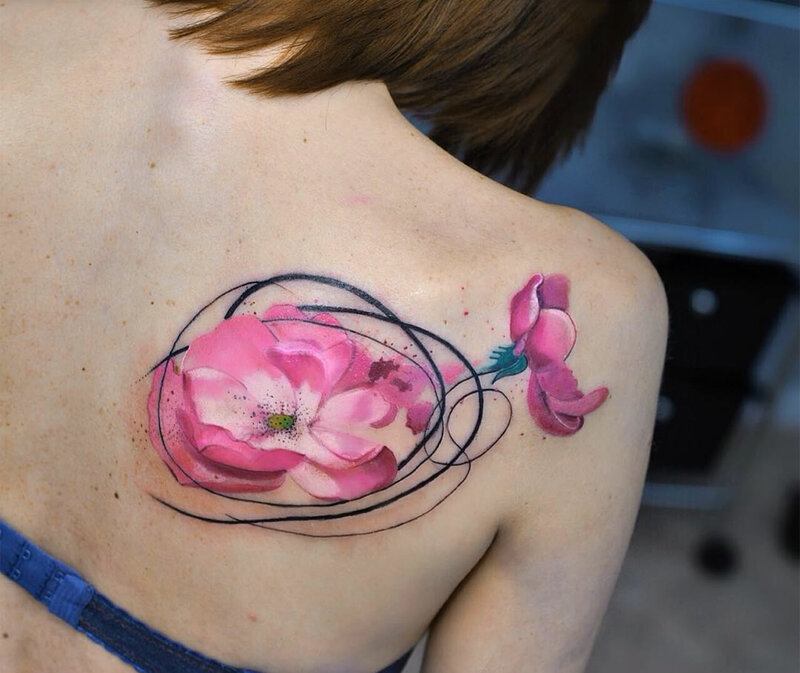 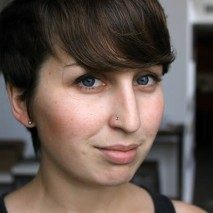 Although it appears haphazard, the technique represents an incredible restraint on the part of Katsan—to make something that looks spontaneous still requires careful planning.